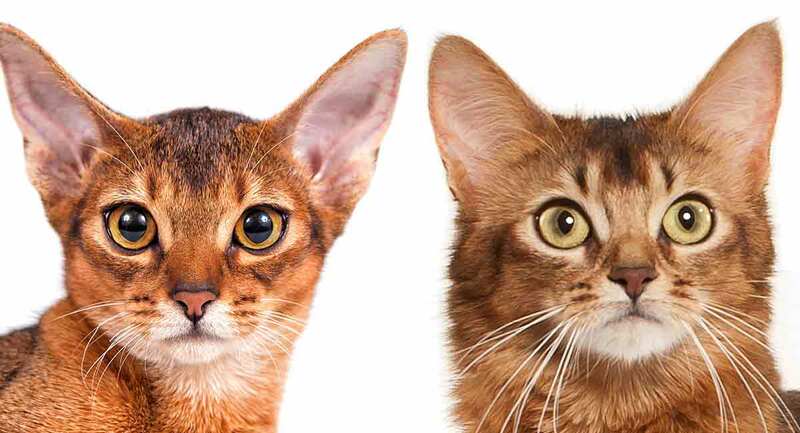 Abyssinian Cat Vs Somali Cat - Which One Is Right For You? 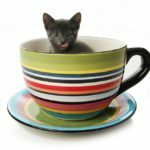 You are here: Home / Cat Breeds / Abyssinian Cat Vs Somali Cat – Which One Is Right For You? 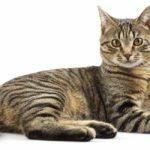 Abyssinian cat vs Somali cat – are you stuck choosing the latest addition to your family? Finding the perfect cat breed is hard enough. Well where can a cat lover go from there?? Here we’ll look at the distinguishing qualities of the Somali and Abyssinian breeds. From their appearance and temperament to their history and health issues! We’ll also explain why these breeds are so often compared to one another! So, should you choose an Abyssinian cat or a Somali cat? Although the history of a breed might not change your mind about the breed you choose, it is really interesting to learn about! Despite their name, it isn’t certain that Abyssinian cats are originally from Ethiopia (formerly Abyssinia). It is supposedly where they were first imported to Britain from. But in reality, the history of Abyssinian cats before the breed was refined in Britain is mostly unknown. There are several different theories, but no documentation proving the breed’s origin exists. Some even suggest the breed resembles cats depicted in ancient Egyptian artifacts! The breed was imported to America early in the 20th century and has continuously gained popularity ever since. One of the reasons it’s hard to choose between the Abyssinian and Somali breeds is that they are so similar. Somalis are actually longhaired Abyssinians, created by a recessive gene in the Abyssinian breed. However, there is speculation over how the long-haired gene was introduced. Therefore, the history of these two, now distinct, breeds meets up at some point in history. The Somali breed got its name from the country Somalia. Somalia neighbours Ethiopia (formerly Abyssinia), demonstrating the link between the breeds. Abyssinian Cats and Somali cats have some strikingly similar characteristics, which isn’t too surprising when you learn they started out as the same breed! The main difference between the two breeds is in their fur. Abyssinians have short, ticked coats – this means each individual strand of hair has various bands of color. Somalis, on the other hand, have much longer fur, although it is also ticked. Their thick coats and fluffy tails have caused Somali cats to be compared to foxes! You don’t need to be put off by the longer fur on Somalis either, as they require little grooming. Somalis also often have tufts of hair on their ears and between their toes. So if you’re looking for a breed that looks luscious and fluffy, the Somali breed is a great choice. Both breeds have dramatic facial markings. Other physical characteristics in both breeds are more similar, too. Both breeds have large ears, and large, almond-shaped eyes that range in color from copper to green. Somalis and Abyssinians are medium-sized cats, but also appear to be quite long and graceful in stature. Males generally weigh between 8 and 10 pounds, whereas females generally weigh between 6 and 6 pounds. Although their coats differ in length, they can both come in a huge variety of colors, including ruddy, chocolate, cinnamon, blue, lilac, and fawn! Both Abyssinian cats and Somali cats are intelligent breeds. This intelligence comes out in their natural curiosity about the world around them. Abyssinians and Somalis are both energetic breeds that will follow you around the house, investigating everything around them. They’re known to be found high up where they can get a good view of everything happening, such as on kitchen cabinets or fridges! If you’re looking for cats who love to interact with their people, Somalis and Abyssinians are great choices. They do love spending time with people that are happy to play with and entertain them. But they aren’t the best choice if you want a lap-cat that you can simply cuddle all day. Their intelligence and curiosity means they’re both good breeds if you’re looking to train your cat or teach it tricks. They are incredibly loyal cats that can get bored easily, but will fit in great with an active, social family. 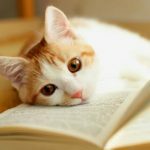 Although it isn’t as common as training dogs, training for cats is also a thing! Training is easier for some breeds than others, as it requires a lot of patience and intelligence (from you and your pet!). If you’re looking to get a cat that is easy to train, you might want to consider Abyssinian cats and Somali cats. These breeds are intelligent, curious cats that love to be involved in whatever you’re doing. They’re often seen following you around the house, observing your actions. When you train these intelligent breeds, you also help to stave off boredom. If you’ve got an Abyssinian or Somali cat, let us know in the comments below if you’ve managed to teach them any cool tricks! 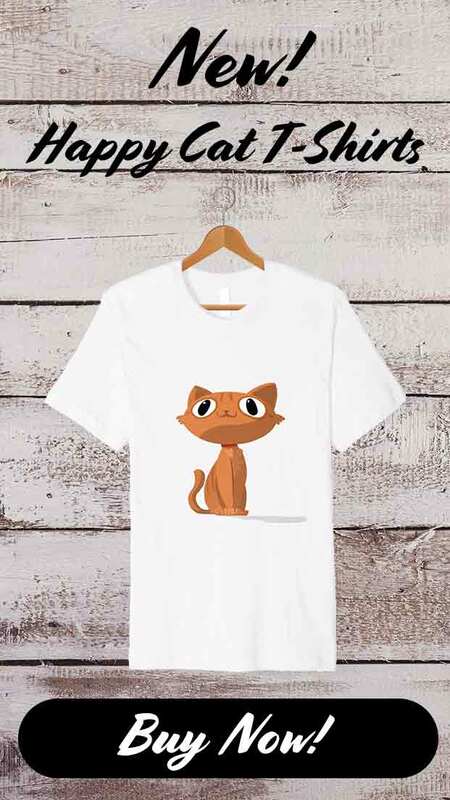 Cats are thought of as independent pets, which leads many people to believe that they don’t need as much exercise as other pets. However, cats can easily get overweight if we constantly give them treats and encourage them to laze around! An easy way for cats to get exercise is by playing with us. Cats love running around and chasing things. Using toys that encourage this is a great way to keep your Abyssinian and Somali cats in great shape. You don’t need to worry about these cats shying away from your efforts either. Both of these breeds love to play and interact with people! They’re naturally curious and full of energy, which means they’re always going to be found running around your home, finding something new to do. These cats are naturally muscular, but slim, so are built for exercise. Let’s look at what health conditions Abyssinian cats and Somali cats can be prone to. As we’ve seen in other aspects, like temperament and exercise, the Abyssinian and Somali breeds experience some common health issues. One of the biggest, most common issues both Abyssinian cats and Somali cats experience is Progressive Retinal Atrophy. This is a hereditary eye disease that leads to blindness over time as the disease develops. Another issue that Abyssinian cats and Somali cats are prone to is anemia. Symptoms include lethargy, rapid breathing, and disinterest in food. 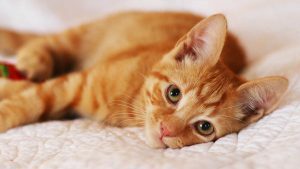 If your cat shows any signs of anemia you should take them straight to your vet. Another common problem of Abyssinian cats is Familial Amyloidosis. In this disease amyloid protein builds up in tissues within your cat’s body, disrupting natural functions. Hereditary diseases like these demonstrate the importance of finding trustworthy breeders. They should know the medical history of your cat’s parents and grandparents. Generally, Abyssinian cats and Somali cats aren’t known for being hugely problematic. This means they are generally a good choice for those that want a healthy pet. 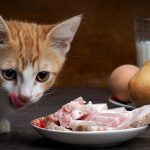 Obviously, you’ll still need to make sure your cat gets the right amount of food and exercise to encourage this tip-top health as much as possible! It can be super hard to choose between Abyssinian and Somali cats. Especially because both breeds can appear quite similar! They do have qualities that distinguish them from one another, like their strikingly different coats. But when it comes to qualities that make a ‘better’ pet, they’re pretty similar. Both are great breeds to choose if you’re looking for an energetic cat that is going to bring a large personality to your home. If you’re after a cat you can cuddle all day, neither of these breeds are the best fit. But they’re both loyal, curious, intelligent pets that are great fun to interact with. Whether you get an Abyssinian or a Somali cat, you’re guaranteed a great addition to the family. If you’ve got an Abyssinian cat or a Somali cat, let us know the things that make it so lovable! Which breed do you think is best?